"Deer Capital of Texas! ", "Barbecue Capital of Texas"
"Land of Legend and Lure"
Llano Main Street Project: 325-247-4158 x209; A program of the City of Llano designed to revitalize the historical business district by strengthening existing businesses, drawing new businesses, and focusing on the appearance and retail mix. MAJOR ATTRACTIONS: See full details in Directory. Historical courthouse, registered historical places, deer hunting, water recreation, fishing, birding, golf, and panning for GOLD. See our focus page at Tubing & Paddling, and Hunting & Fishing. Inks Bridge-Llano River: Built in 1935 to replace the 1892 flood destroyed bridge, this multi-span truss construction bridge crosses the river on the N side of the old downtown. The trellised walkways along each side of the bridge were added later and allow visitors to enjoy unique views of the river. Llano River Golf Course: Public, 18 holes, on Llano River. Llano County Historical Museum: Features exhibits that help interpret the history of Llano County. Included are a polo exhibit, farm and ranch room, clothing and textiles, military items, rocks, and a variety of photographs. An extensive exhibit of artifacts both Indian and early Texas, plus a large display of area gems and minerals. A restored log cabin graces the ground. Leonard Grenwelge County Park: 199 E Haynie Street. Located on the S side of the Llano River just below the dam. This park is more rustic and allows hiking along the river among boulders and exploring the river. Picnic tables and a public restroom. HISTORY & profiles: Handbook of Texas Online: "It was founded in compliance with a February 1, 1856, state legislative act establishing Llano County. Tracts donated by John Oatman, Sr., Amariah Wilson, and the Chester B. Starks estate provided a surveyed site of 250 acres for the county seat on both sides of the Llano River near the center of the proposed county. An alternative site, on Wright's Creek, was proposed by the residents of the Bluffton-Tow Valley area. The Llano River location was chosen in an election held on June 14, 1856, under a live oak on the south bank of the river, near the present site of Roy Inks Bridge in Llano. Into the 1870s the town was little more than a frontier trading center, with a handful of log buildings housing business establishments, a post office, and a few homes. 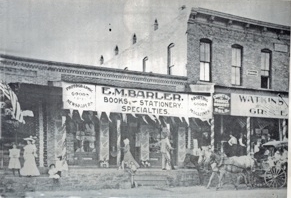 In 1879 the first bank, Moore, Foster, and Company, was founded, and during the 1880s Llano acquired a number of new enterprises that served the county's farmers and ranchers. After the county outgrew the one-story stone building that had housed its public offices, in 1885 an ornate brick courthouse was completed on the square on the south side of the river. 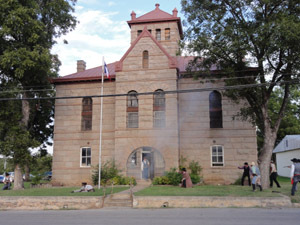 A fire on January 22, 1892, destroyed this courthouse; the present county courthouse was completed and occupied on August 1, 1893. It is listed in the National Register of Historic Places. In the 1880s the Llano Rural, the town's first newspaper, was established, followed by the Iron City News, the name of which reflects growing interest in the county's mineral resources. The Rural eventually incorporated several other newspapers, including the Advocate, the Searchlight, and the Gazette, to become the Llano News by the early 1900s. Anticipation of significant economic growth based on the iron deposits discovered at Iron Mountain in northwestern Llano County attracted capital from Dallas and from northern states, and the boom years of Llano-from 1886 to 1893-were launched. The Llano Improvement and Furnace Company undertook plans for an iron furnace and foundry, as well as for the development of commercial real estate on the hitherto undeveloped north side of the river. Charters were undertaken for a dam, an electric power plant, a streetcar system, and electric street lighting, while expectations of growth were high. Steel-town names such as Birmingham, Pittsburgh, and Bessemer were chosen for streets on the north side; Llano was to be the "Pittsburgh of the West." But only a small dam and the street lighting were completed. By one report, the population reached 7,000 in 1890. In 1892, at the peak of the boom period, the town was incorporated, the river was bridged, and the Austin and Northwestern Railroad was extended to a terminal on the north side of Llano. Because of the improved transportation, several granite cutting and finishing businesses moved to town in this period. Many of the new businesses were begun in the boom period, and substantial brick establishments were constructed around the public square on the north side of the river. Among these, the Algona Hotel became a focal point for the town's new social life. Under the names Franklin and Don Carlos, the hotel changed hands several times; at one point around 1900 it housed the Texas Military Institute. It was damaged by a cyclone in 1900 and burned to the ground in 1923. Because the county's mineral resources, with the significant exception of granite, did not exist in commercially exploitable concentrations, the boom period soon faded. Plans to connect Llano with Fredericksburg via an extension of the San Antonio and Aransas Pass Railway were not fulfilled. A series of fires in the early 1890s, probably set to collect insurance on unprofitable properties, destroyed many of the new business establishments. Such fires were so numerous that fire insurance was denied the town for several years. Farming, ranching, and the granite industry remained the foundations of the town's economy in the twentieth century. In the 1920s Llano was a major shipping point for cattle; the cotton industry flourished in the county through the 1930s but declined thereafter into insignificance. Granite quarrying and finishing retained their importance, amounting to a million-dollar-a-year industry by the 1950s. The Roy Inks Bridge, named for a former mayor, was built after a flood crest of forty-two feet in 1935 swept away the 1892 structure. By 1964 the town had a new hospital, a post office, school buildings, a community center, a rodeo area, and a golf course, along with a city park and improved water system. Llano was an important link in the Highland Lakes chain of tourist areas and attracted many hunters during the deer season. A winery, feed processing, and insecticide and commercial talc production represented new industry. Actress Sophia Loren, friend and correspondent of Netherlands native Anthony Goossens, priest of Holy Trinity Catholic Church in Llano, contributed to the church fund-raising campaign in 1975. By 1983 the National Register of Historic Places listed, in addition to the courthouse, the Llano jail, the Southern Hotel, and the Badu Building, former bank and home of French immigrant and mineralogist N. J. Badu, now a bed-and-breakfast establishment. The population of Llano was 2,960 in 1950, 3,071 in 1980, and 2,962 in 1990. By 2000 the population was 3,325." LLANO FINE ARTS GUILD: 325-247-4839; 503 Bessemer Ave, Llano, TX 78643. www.llanofineartsguild.com. A non profit guild of local artists working to promote artists, art programs and art education in the community. LOU QUALLENBERG STUDIOS: 325-247-4304; 1501 Flag St, Llano, TX 78643. www.louqart.com. Art that functions as furniture. LLANO RIVER GOLF & RV RESORT: 325-247-5100; 2835 RR-152, Llano, TX 78643. www.llanorivergolfcourse.com. Public, 18 holes, 6094 yds, par 71. Located 2 mi W of Llano on the S bank of the Llano River. RV & golf package rates. LLANO MUNICIPAL AIRPORT (AQO): 325-247-5635. Publicly owned, open to the public. Located 2 mi NE of Llano. No tower. Runway: 4202 x 75 ft.; www.llanotx.com/edc/airport.htm; AirNav; Map. The facility generates about $6 million per year for the economy by hosting events and activities such as the 2014 Texas STOL Roundup, which featured 108 aircraft in the spring participating in takeoff and landing contests. It has made quite a name for itself as a destination for events featuring aircraft fly-ins, aerobatic exhibitions, contests, campouts and more. Along with hosting events, the site serves as a staging, storage and fueling zone for visitors attending a number of other activities, including rodeos, the annual crawfish open, chuck wagon cook-offs, deer season and football games. Established in 1944, anywhere from 10,000 to 12,000 people each year utilize the airport. Other amenities include a fueling station, hangar storage space, an on-site private mechanic and a sailplane school. Events such as the 2014 Hill Country Hammerfest attract dozens of participants and hundreds of visitors and features aerobatic competition, maneuver and speed contests as well as exhibitions. Participants came from across the state. DISTRICT COURTS AND DISTRICT ATTORNEY: See State & Federal Offices. Includes the 33rd and 424th District Courts. Local: Llano County, 325-247-5159; 1447 TX-71 E, Unit E, Llano, TX 78643. Nutrition education, breast feeding support and education, WIC foods – infant formula, milk, cereal, cheese, peanut butter, beans, eggs and juice. TEXAS DEPT OF MOTOR VEHICLES (TXDMV): 888-368-4689. Austin, TX. www.txdmv.gov. Vehicle titles, registration, plates. TEXAS DEPT OF PUBLIC SAFETY (DPS): 512-424-2000; 5805 N Lamar, Austin, TX 78752. www.txdps.state.tx.us. Responsible for statewide law enforcement, vehicle regulation, driver's licenses. TEXAS DEPT OF TRANSPORTATION (TXDOT): 512-463-8588; 125 E 11th St, Austin, TX 78701. www.txdot.gov. Email: asktxdot@txdot.gov. Provides for a safe, reliable, and integrated transportation system that enables the movement of people and goods. Responsible for the design, location, construction, and maintenance of area roadways and aviation. HQ: 512-463-2222; 101 E 15th St, Austin, TX 78778. www.twc.state.tx.us. Assists with job referrals, unemployment benefits, child care assistance. Resources, tips & tools to build a stronger Texas workforce. (THOMAS) DAVIS: 325-622-4642 or 247-5153; CR-408, Valley Spring, TX; 2 day minimum, gun & bow, 4 hunters, deer, hogs, turkey, cabin. (RON) HAVINS: 325-247-4877; Llano, TX 78643, day/wk-end hunts, season lease, fishing, 6 ac cabins, 8 tent sites, water/electric. (CLYDE) HERRIDGE: 325-247-3487; Llano, TX 78643. RR-2323. 11 mi SW of town. Day hunts, 2-8 hunters, gun & bow, deer, hogs, cabin, campsite, 3 pastures, $125/day. (JOHN) LANDON: 325-247-5226, RR-2323, Llano, TX 78643, near Castell and Mason. Day hunts, 3-4 hunters, gun & bow, deer, quail, turkey, fishing, cabin 100 acres. $45/gun/day. (BB) LANING: 325-247-5176; Llano area. Season lease, gun & bow, 3-8 hunters, deer, hogs, turkey, campsite available. ORAN HILL OUTFITTERS: 512-470-9681; Llano County & Lake Buchanan. Day hunts for deer & pigs. (JOHN) RABB PASTURE: 325-247-5458; Llano, TX 78643. 7 mi W of town. Limited package hunts, 3 hunters, deer, turkey, hogs, cabin, 334 acres. RIVER PLACE: 325-247-5281; Llano, TX 78643. SETTEMEYER RANCH: 325-247-3441; 512-350-7957; Llano, TX 78643. Near Enchanted Rock, day hunts, 6-10 hunters, gun & bow, deer, turkey, cabin, campsite, 2 pastures. STILLWATERS RANCH: 512-656-2930; 7100 CR-312, Llano, TX 78643. www.stillwatersranch.com. Whitetail, dove hunting. (MELODEE) TAYLOR: 325-247-3827; 325-247-4075; TX-29 W, Llano, TX 78643, 5 mi W of town. 3 day pkg, 4-12 hunters, gun only, deer, turkey, cabin, campsite, 4 pastures. (WALTER) WALLIS: 325-247-5983; TX-16 S, Llano, TX 78643. S of town. Weekend hunting, 3 days, 5 hunters, gun only, deer, quail, turkey, hogs, cabin, 3 pastures. FARMERS INSURANCE: 325-247-3500; 102 E Luce St, Llano, TX 78643. Cary Otto. www.farmersagent.com/cotto. EDWARD JONES: 325-247-5544; 800 Bessemer St, Ste 3, Llano, TX 78643. www.edwardjones.com. Financial services. ITS A WENDELFUL LIFE (aka SOMEWHERE OVER THE RAINBOW; and GT DIGS Gene Tolbert): 839-992-8905; 830-733-7425. Facebook. Located SW of Llano in a remote area on Sandy Bottom Dry Creek, near Cherry Spring, Crabapple and Loyal Valley. Family and fun activities on a ranch. PARK RIDGE APARTMENTS: 325-247-5825; 100 Legend Hills Blvd, Llano, TX 78643. Web. Affordable housing apartments provided by Texas Housing Foundation (see State Gov't section above). Family units. TEXAS VALLEY ORCHARD: 325-247-3979; 12340 TX-16 S, Llano, TX 78643. www.texasapplevalley.com. Apples, berries, more. Located a few miles S of Llano. CENTRAL TEXAS FOOD BANK: 512-282-2111; 6500 Metropolis Dr, Austin, TX 78744. www.centraltexasfoodbank.org. Charity mission is to nourish hungry people and lead the community in ending hunger. Serves: Blanco, Burnet, Gillespie, Hays, Lampasas, Llano, San Saba, Travis and Williamson counties. DAUGHTERS OF THE REPUBLIC OF TEXAS: www.drtinfo.org. Mission is to perpetuate the memory and spirit of our ancestors by encouraging historical research into the earliest records of Texas. Open to those who can trace ancestry to a relative living under the Republic who served in some way. HILL COUNTRY COMMUNITY ACTION ASSOCIATION: 325-247-4662; 1110 Berry St, Llano, TX 78643. www.hccaa.com. Dedicated to providing opportunities and resources to improve the lives of Central Texans. Promote the reduction of poverty, the revitalization of low-income communities, and the empowerment of families and individuals in our service area to achieve economic self-sufficiency and maintain personal independence. Serves counties of: San Saba, Mills, Llano, Mason, Bell, Coryell, Hamilton, Lampasas and Milam. JOHN L. KUYKENDALL ARENA AND EVENTS CENTER: 325-248-5937; 2200 RR-152, Llano, TX 78643. www.llanoeventscenter.com, Facebook, Map. A multi-purpose structure used for rodeos, horse and cattle events, but also for trade shows and concerts. Snacks and meal options are offered at the concession areas. LANTEX THEATER: 325-247-5656; 113 W Main St, Llano, TX 78643. On the square, one of a few single screen theaters still operating in the state. Also home of the Llano Country Opry. LLANO COMMUNITY RESOURCE CENTER: 2249 RR-152, Llano, TX 78643. http://txhf.org/crc_view.php?center=llano. Mission is to provide delivery of social and public health services to qualified clients provided by nonprofit organizations and government agencies. By locating dozens of these agencies in one location, clients can quickly learn about, apply for, and receive services that are provided by these agencies. Experienced staff can also refer these clients to off-site agencies. LLANO COUNTY CHILD WELFARE BOARD: Llano, TX 78643. Facebook, A non profit organization comprised of community members whose purpose is to support foster care youth from Llano County while raising awareness about child abuse prevention. LLANO ECOWEB: 512-814-6262; Llano, TX 78643. http://www.llanoecoweb.net. A community-oriented endeavor of folks coming together to implement ecological initiatives for Llano -- the community, river and uplift. LLANO JUNIOR WOMEN'S CULTURE CLUB: 200 W Sandstone, Llano, TX 78643. Facebook. Working for our community the ladies of JWCC raise funds for Coats for Kids, LHS Scholarship, LISD nurses, Valentines flower and card for nursing home residents, among many other community needs. Annual Home Tour in Dec.
LLANO NEW HORIZONS: 325-247-4439; POB 107, Llano, TX 78643. A nonprofit group that relies on local donations (no government aid received) to help others pay utility bills, purchase medicine and cover other living expenses. Families in need are screened, and those that are approved can not apply for help again in the next 12 months. Assistance is paid directly to the city utilities, pharmacies (and other businesses. Serves those living in Llano and in the western part of the county (other organizations assist those in the eastern part). Donations are welcomed. MASTER GARDENERS: Texas web: www.txmg.org. A non-profit organization under the Texas A&M AgriLife Extension Program. Mission is to disseminate horticulture education on gardening, water conservation, soil maintenance, native & earthkind planting. TEXAS FARM BUREAU - LLANO COUNTY: 325-247-4161; 303 E TX-71, Llano, TX 78643.
as well as insurance, financing and education services. Note: Churches, museums, schools and some other non-profits are listed on this page in their own separate category. LLANO ANIMAL RESCUE: 325-247-4963; Llano, TX 78643. www.llanoanimalrescue.com, Facebook. A non-profit created to facilitate finding loving homes for the homeless pets of Llano. LLANO ANIMAL SHELTER: 325-247-3028; 201 W Haynie, Llano, TX 78643. www.cityofllano.com/138/Animal-Control. Mon-Fri, 8a-5p. Kenneth Poe, Animal Control Officer, 325-247-3028; 301 W Main, Llano, TX 78643. Llano Police Dept can be summoned for nuisance animals, including wild animals, provided they are within the city limits, and to report abused, neglected, or unwanted animals. TRACTOR SUPPLY COMPANY: 325-247-3723; 401 TX-71 E, Llano, TX 78643. www.tractorsupply.com. 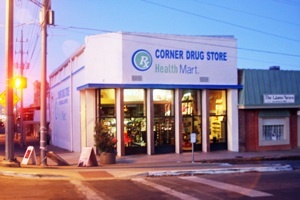 Pet supply store, pet wash station, and periodic PetVet Clinics. RE/MAX Llano: See Virdell below. AMERICAN LEGION POST: 325-247-4820; 402 Pittsburg, Llano, TX 78643. See details in Non-Profits section above. 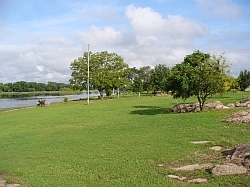 LLANO RIVER (BADU) PARK: 325-247-4158; Llano, TX 78643. On the N bank of the Llano River just up stream from the dam and the bridge at its intersection with TX-16. Has walkway along the river, picnic tables, park benches, boulders for climbing and sitting on, a covered pavilion with picnic tables and barbecues, public restroom, and a few RV spaces. Access to the river for swimming, fishing, wading. Operated by the City. LLANO SENIOR HIGH SCHOOL: 325-248-2200; 2509 TX-16 S, Llano, TX 78643. Llano High School students can enroll in dual-credit, free, college courses through Angelo State University. 386 Friendship Ln, Fredericksburg, TX 78624. www.ctec.coop. Electrical service; Excede satellite internet service. NORTHLAND COMMUNICATIONS: 325-388-4217; Llano, TX 78643. www.yournorthland.com/marblefalls. Digital TV, internet, home phone service. OTHER INTERNET PROVIDERS: See link below. Locals include Rise, Zeecon, Northland, and the two satellite providers (Hughes and Excede/ViaSat). WASTE CONNECTIONS (formerly Progressive Waste Solutions, and IESI): Austin HQ: 830-868-7597. www.wasteconnections..com.